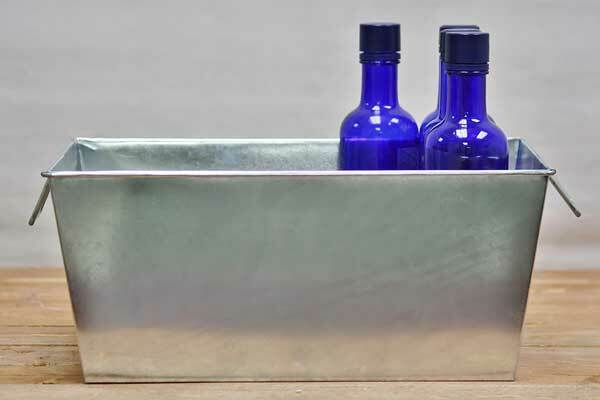 These simple metal bins an amazing addition to your home! They can be filled with magazines, toys, craft supplies, loose papers, or filing folders. Their classic shape allows them to fit into any decoration scheme and serve whatever purpose you can think of. Missing a cooler for your outdoor party? Just add ice and drinks to this tub! We also offer a similar tub to add a bit of variety to your decorations. Small square herb planters in copper and galvanized. A nice square vintage bucket. Or Square galvanized planting buckets in two sizes. Great for organizing your home.